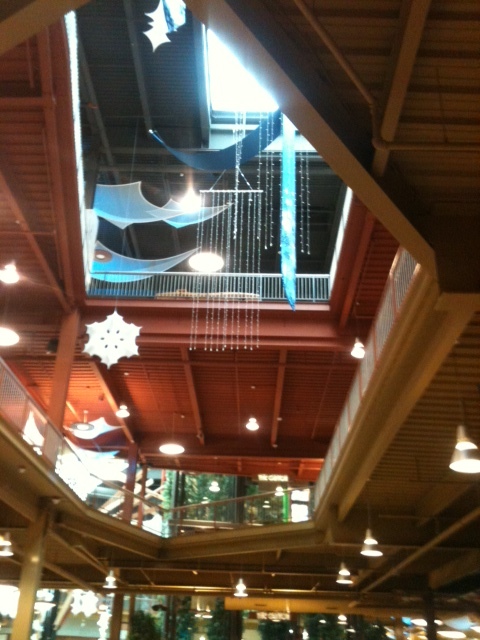 The holiday decoration installation at Destiny USA is complete! The wells are filled with custom banners, ginormous 3-D snowflakes & twinkling ice light curtains. Patrons are bustling about doing their last minute holiday shopping & Christmas is in the air. Next time you're at the mall in a panic searching for the perfect gift, take a second to glance up & be amazed.